There can be a lot of pitfalls when it comes to taking care of curls. This can be especially true when managing mixed curls and kids. This is because this type of curl needs extra support. Here's mistakes to avoid with mixed curly hair. Let us know your tricks and tips for dealing with mixed curly hair. Kids love pillowcases emblazoned with the faces of their favorite cartoons or heroes. However, the cotton can be very damaging to their delicate strands, as it wicks away moisture. Instead, opt for a satin or silk pillowcase and your little will wake up with much more manageable strands. While overuse of protective styles can be detrimental, this style is often useful in keeping moisture locked in. These types of styles work well for active children, or those who don't enjoy wash day. Utilize braids, bantu knots, and ponytails to help care for mixed curls. 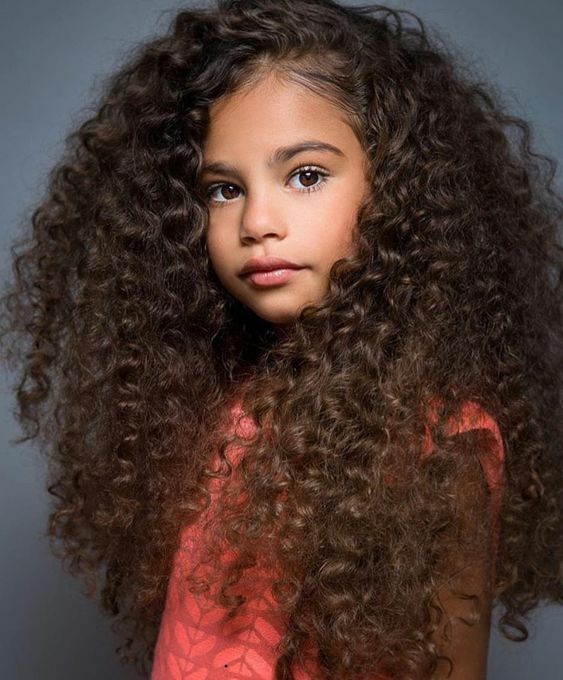 Start young so your kiddo gets used to it as part of their curl care routine. Avoid putting the curls in styles that are too tight to minimize the risk of pulling or damage. Lathering up strands is a given part of the bath time routine, but it isn't as necessary for mixed curls. Too much shampoo will strip curls of natural moisture, which will make for dry and difficult to manage strands. Use sulfate free shampoos weekly, or swap for a cowash if needing to cleanse more often. Curls should never be detangled while dry, or with a brush. This will definitely lead to breakage, and make it difficult to work through tangles. Instead, slather curls in conditioner and work through knots individually with a wide toothed comb or finger tips. This will minimize pulling, ensuring a much more peaceful process for all involved. Sometimes parents skip out on curl care products, but this can lead to difficulties. Instead of skipping, pick up a curl care line specifically designed for kids. There are lots of great lines out there to choose from, including some specifically made for mixed curls. On the flip side of this, avoid the excessive use of product. As a result, curls with too much product will become greasy, difficult to manage, and may experience excessive build up. Amazing Curly Girl Products You Can Get In The U.K.